Collapsible Travel Pillows : "car travel pillow"
There's nothing worse than having a crick in your neck while trying to sleep on a road trip, but this car travel pillow from Cocoon ensures that you have a nice place to rest your head. While it's great to have a pillow on hand, they often take up valuable space that's limited in a car. 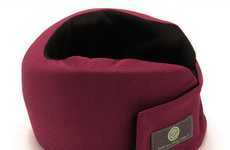 Cocoon's Ultralight Air-Core Pillow features an inflatable chamber and a soft microfleece exterior. When it's not needed, the pillow can be compressed down to roughly the same size as a baseball and tucked into a neat carrying pouch. 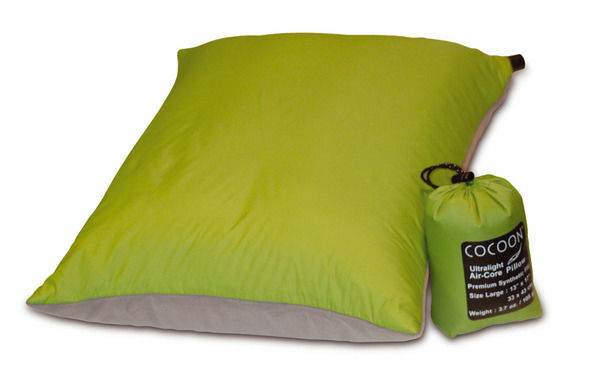 At about $26, Cocoon's inflatable pillow definitely costs more than bringing your own from home, this collapsible feature is worth the investment if you're short on space and will be planning frequent camping, travel or road trips. 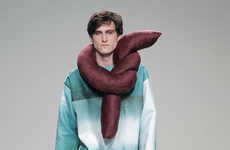 Interest: 2 minutes	Concept: "car Travel Pillow"